One reason vacations don’t boost happiness after the trip may have to do with the stress of returning to work. And for some travelers, the holiday itself was stressful. 5th vacation as an Overseas Filipino worker for more than 2 years of stay in State of Kuwait. 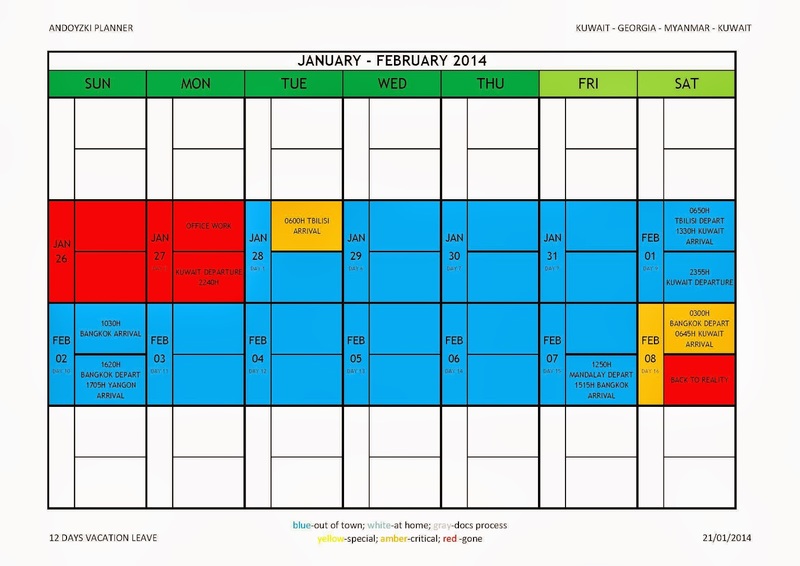 The image below shows the converted jpeg from pdf of calendar of events on my entire 12-days vacation journey. Most of this days were in Georgia and Myanmar without Philippines, my hometown. My 1st time to spend Vacation Leave as on OFW without visiting my homeland. I used my country of work as airport of origin due to proximity, in fulfilling my dream beyond to travel the world. From Kuwait to Georgia during its Winter Season for 4 days. 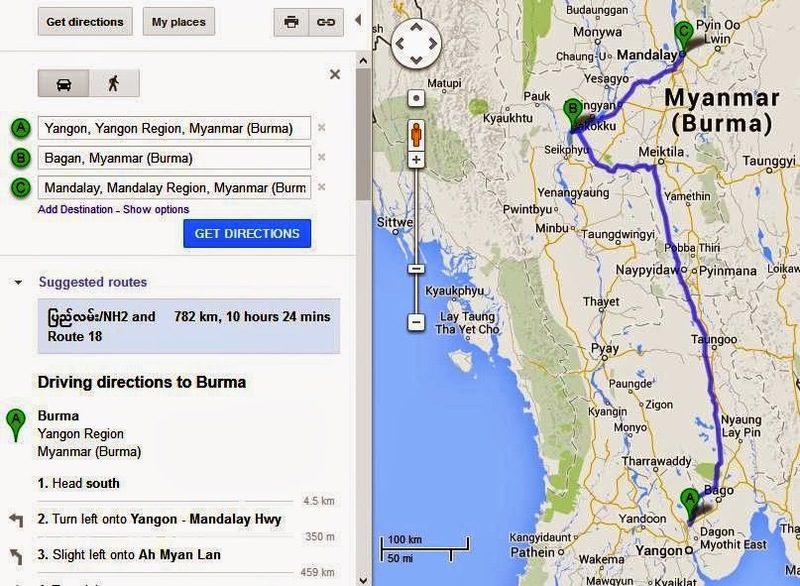 Afterwards, 6 days to Myanmar (Burma). Last year (2013) I spent my birthday to the snowy top of Mt. Huangshan of Mainland China. In this year, I spent the day exactly arriving Tbilisi Airport of Georgia then going immediately to the nearby town of Gori.